Blood pressure can significantly drop by applying 20 minutes of ultrasound to the forearm of type II diabetes patients with treatment-resistant hypertension, according to research from Japan’s Tohoku University. High blood pressure is estimated to cause 7.5 million deaths worldwide and can be difficult to control in some patients with type II diabetes. Katsunori Nonogaki, of Tohoku University’s Department of Diabetes Technology, and colleagues, enrolled 212 type II diabetes patients with treatment-resistant hypertension. They were divided into four groups. 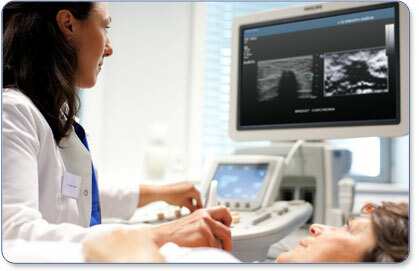 One received 20 minutes of low frequency (800 kHz), low-intensity ultrasound irradiation to the forearm. Another received 500 kHz of low-intensity irradiation for 20 minutes. The other two groups were used as controls, receiving a placebo procedure. They found that the patients’ blood pressure and pulse rates were significantly reduced after both 800kHz and 500kHz irradiation sessions compared to pre-treatment levels. Blood pressure levels were also lower than those of the placebo groups, but significantly so in the case of the 500kHz treatment. No adverse effects were found in either group as a result of the ultrasound treatment. How ultrasound improves blood pressure in these patients is still unclear, but it might suppress sympathetic nerve activity, responsible for the fight or flight response, by means of nerve pathways from the forearm to the cardiovascular system, the researchers say.